Home / POLITICS / Ademola Adeleke wins as appeal court rules that he is qualified to contest as governor of Osun state. 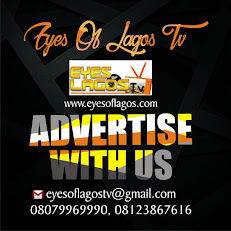 Eyes Of Lagos gathers that the ruling of the appeal court reaffirmed Adeleke’s qualification and eligibility to contest the office of the governor of the state as earlier delivered by a high court in Osogbo. According to the report, the high court in Osogbo had ruled that the governor is qualified having been educated up to secondary school level. Not satisfied with the ruling, the petitioners had headed to the appeal. 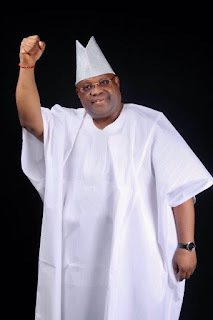 It was earlier reported that a high court sitting in Abuja reportedly nullified the nomination of Senator Ademola Adeleke as the candidate of the PDP, in the September 2018 governorship election in Osun state. Recall that two chieftains of the All Progressives Congress (APC), Wahab Raheem and Adam Habeeb, had in 2018 dragged Adeleke to court accusing him of not possessing the requisite educational qualification (secondary school certificate) to contest for the office of governor. It was also reported that the Independent National Electoral Commission (INEC) said it can issue a certificate of return to Senator Ademola Adeleke of the Peoples Democratic Party (PDP) only if Governor Gboyega Oyetola of Osun state fails to appeal the judgment of the tribunal that sacked him within 21 days. The commission, on Monday, March 25, debunked rumours that Adeleke had been issued a certificate of return. It was further reported how following the recent ruling of a court against the candidacy of Ademola Adeleke, the PDP vowed to sanction members with cases against him.